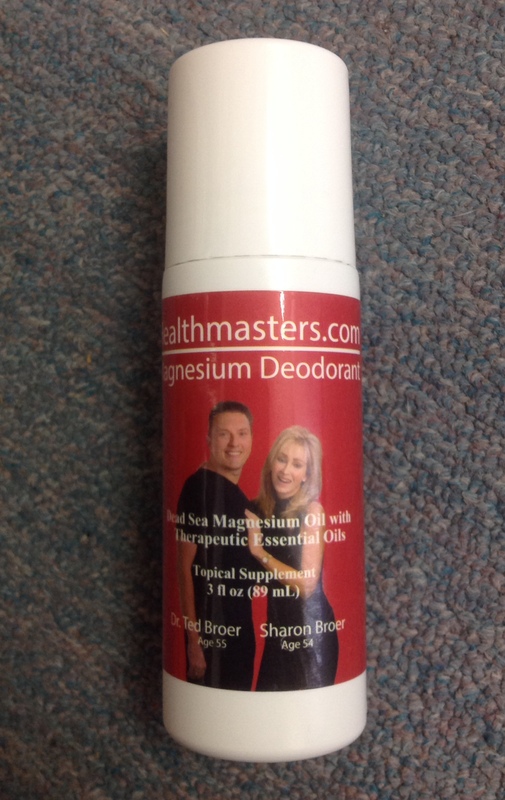 3oz.Magnesium Deodorant is a positively-charged, ionic mineral solution that deodorizes the body, removes toxins and strengthens the lymph nodes. Roll on for freshness and natural mineral support. Do not use this product immediately after shaving. I purchased this deodorant and it works SO much better than a leading "natural" deodorant I have been using. Also, knowing the magnesium benefit is great. In addition, I don't have to re-apply this like I do the other leading brand. As usual, the shipping time is unbelievably fast! Years ago after breaking out with rashes under my armpits from anti-perspirant deodorant clogging and infecting my pours, my search for natural deodorants started. I have tried countless natural deodorants and they all were either filled with bad chemicals or were actually natural, but didn't work for me (I sweat all the time so most are not strong enough for me). This is the first natural deodorant that is strong enough for me, and is not only not bad for me, but is actually good for me! I have been using this product now for going on a year and it is only deodorant that my wife and I truly love and feel good about using! Our thanks go out to the entire Broer family! We appreciate the care you put into all of your products!